The Power of "Bad Press"
In Christianity and in the promulgation of the Gospel of Jesus Christ, it is "bad press" that brings about the biggest miracles. Persecution is one of the tools that God uses to make His name heralded around the earth. The people who really need to be influenced by great moves of God are not the happy, loyal church-goers. They are the sinners. The unsaved often hear of revivals first from people reigning insults at the fanatic Christians and laughing at the man or woman being used of God to demonstrate His power. Think about it! The greatest miracle ever, in all of the history of the world, happened in the face of persecution! Jesus was persecuted and through His death, He redeemed mankind back to God! Right now, there is a sweeping Global revival. We are being challenged to break away from our comfort zones and make a real impact. In different parts of the world, there is a deep drive for evangelism, a sincere cry for souls to be saved, and a roaring passion for the things of God. In communist-controlled government churches in China, there is a HUGE move of God taking place. Check out this link, here. In Brazil, we are seeing masses of people give their lives to Christ as the churches address social issues people are dealing with. In India scores of Hindus are leaving the traditions of praying to their ancestors and are flocking to Jesus Christ! In Nigeria, we are seeing some of the largest gatherings of people for the Gospel in the history of our country. While the world's largest cathedrals in Europe have become historic sites and museums, Nigerian Churches are filled to capacity and some are having 8 or more services on a Sunday, just to be able to accommodate the growing number of members. 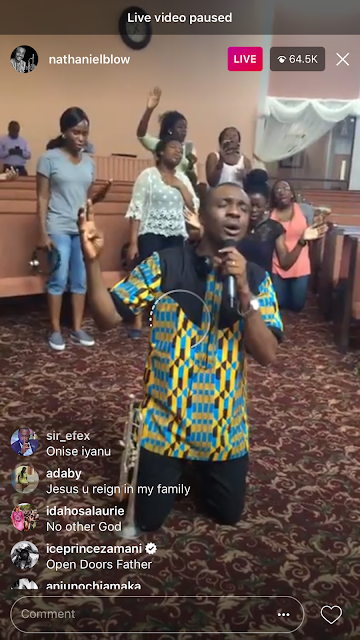 In Nigeria this month, we are experiencing a social media revival, where Christianity, prayer and worship have become the nation's trending topic through Nathaniel Bassey, a worship leader who obeyed God. His globe-shaking initiative called the 30-Day Hallelujah Challenge, has gone viral on social media and continues to draw in more believers every day! One thing that every one of these great revivals and moves of God has in common is "BAD PRESS" or as the Bible calls it, persecution. Luke 6:26 (ESV) says, "Woe to you when all people speak well of you, for their ancestors did the same things to the false prophets." We are warned, through the Holy Scriptures, to avoid the trap of seeking a perfect approval rating. True global change agents have enemies and usually lots of them. Don't let the scoffers and those who stand on the sidelines laughing and pointing fingers at you stop you from jumping into your purpose with both feet. Yes, you may have a low approval rating. Yes, you may have some "bad press." Yes, you may even lose a friend or two, but your obedience will draw others to Christ and will help set you on the course of destiny. I applaud Bassey's response yesterday to the negative press that his social media Hallelujah Challenge is getting. Please Please Saints, don't get into arguments with those who don't agree with this project. Don't insult or fight them. Those are mere distractions. The One to whom we are gathered these thirty days will speak for Himself - SUDDENLY. Please be focused. These are mere reactions in the Spirit. The devil has no new tricks. But if you ever have to reply, please reply with this song. HAVE YOU. SORROUNDED BY YOUR LOVE. YOUR EVERLASTING LOVE. "WHY SHOULD I CARE WHAT PEOPLE SAY, THEY DON'T KNOW. WHAT YOU MEAN TO ME. " How do you answer "bad press?" How do you respond to insults? Your response is a reflection of your character. Look at how Jesus handled the people who insulted him. "When they hurled their insults at him, he did not retaliate; when he suffered, he made no threats. Instead, he entrusted himself to him who judges justly." 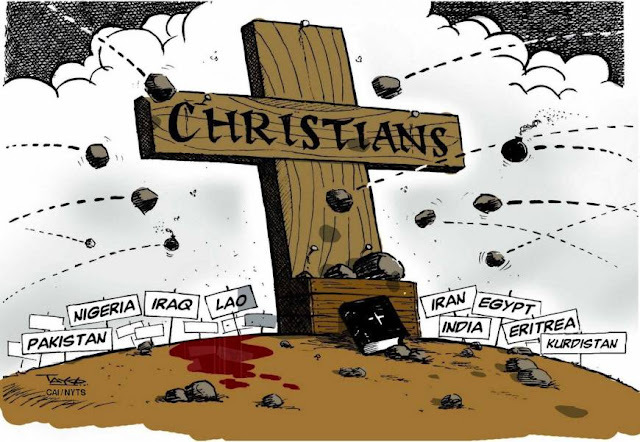 My prayer for you is that you will appreciate the value of persecution and bad press, that you will have a responsible answer for those who hurl insults at you and question your motives. May God bless you with the courage to be obedient to His Will and the strength to endure the laughs from people yet to discover His great power that is working in and thorough you. Got some "bad press?" Bring it on!!! Great word! I am currently walking this path right now. People have said behind me and before me...humans are always afraid of "change" especially when it reveals Truth...I know from whom I have heard,i see His presence guiding me like a Pillar of cloud by day and like a pillar of fire by night...He nudges me on by every little FavourHe shows me in the people He instructs me to reachout and I am certain that He will use me to cause a change... This is my song too" why should I fear what people say?vthey don't know what you mean to me ". Thank you so much ma'am forbyour words on this post.